When it comes to selecting a WordPress theme for business website, one can explore a large number of free and premium both options available. 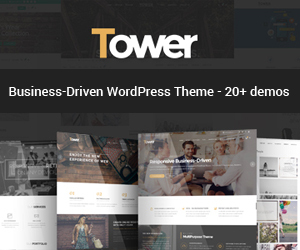 Presently, there are large number of premium WordPress theme made available. The major objective of WordPress business theme should be to ensure professionalism and aesthetic of the business altogether. Design should be planned in a way to make it easily searchable. Explore the right platform where you can find plentiful options. 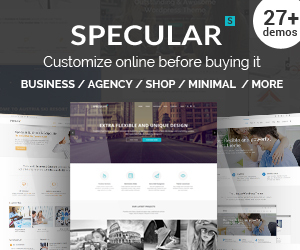 ThemeForest is the best place to explore themes designed by professional and authentic designers. Secondly, you need to spend some time browsing the demo to assess whether your website gives a bizarre look, is easy to use or excites users. In short, you need to select a theme that is cross-browser compatible and is developed keeping convenience of visitors in mind. A quick loading website page not only improves the general user experience but also improves search engine ranking, conversion rates and online revenue. Secondly, it is important to use a theme that is up-to-date and is in sync with the latest coding standards. These days, you can find ample number of WordPress themes that come with a customization dashboard. Using such dashboard, developers can solve the problem of having to make direct changes to style sheets. There are some other plugins like Visual Page Editor that have made it easy to create complex page structures without having to touch the internal coding. Security is an important aspect to consider, when it comes to selecting the best WordPress theme. There are various factors that affect the security of WordPress website including password strength, hosting and plugins. Before purchasing WordPress theme, you should research a little more about it by reading customer’s review on community websites like ThemeForest, Theem’on. This reveals transparency and authenticity. If there are some security loopholes available, then developer might have fixed them. So, it is important to investigate in-depth before investing in WordPress themes. Responsive behavior has been the need of hour. It not only accommodates to the different screen size and devices but also draws a huge amount of traffic that mostly comes from mobile and handheld devices. There are so many WordPress themes available that are responsive in nature by default. Therefore, you need to ensure choosing a theme that is responsive and also supports mobile to bring new opportunities for businesses. After choosing a responsive WordPress theme, businesses can run a demo on Google’s mobile-friendliness tool to check whether the theme works great for their business or not. 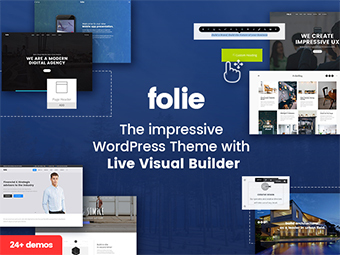 A lot of WordPress themes available these days feature multiple colors, flashy animations, multifaceted layouts and so on. These themes might attract you at once but do not perform expectedly great for your business. So, the best thing to do is choosing a theme with a simple layout design. Such simple layout design will help you fulfill your business goals. The theme should look elegant and appealing, without compromising on the usability. The design of theme should not be complicated because it should help users search the information they need. With the help of such themes, businesses can achieve their goals within a mentioned time frame. Listed above are some of the key points to consider when selecting the right WordPress theme for your business. These factors will help you choose the right theme with advanced features that you are looking for. Apart from this, you can design your own WordPress theme by consulting an established and reputed WordPress theme development company that has expertise in developing a customized WordPress theme. Nola Arney is a reputed Senior developer employed at HTMLPanda- PSD To HTML Company. She enjoys exploring latest WordPress technologies and taking new challenges. Apart from being a developer, she has contributed to all high-quality write ups like WordPress theme and also loves to share her development expertise with the readers.